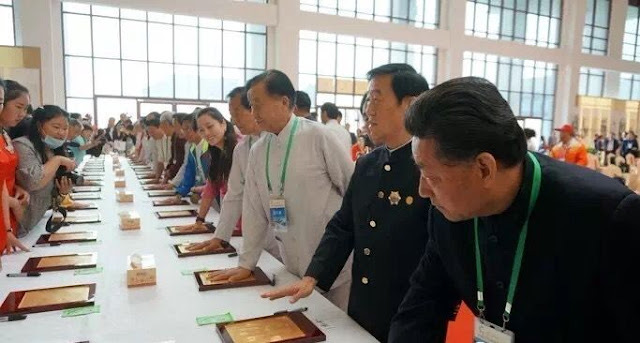 In the last post I reported the formal induction of 13 renowned Taijiquan players as "Professors of Taijiquan", an official recognition of their roles as educators. This is part of a wider movement in China as the country looks to reassert its identity. 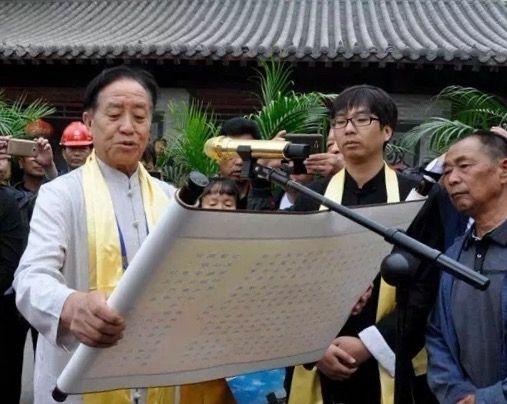 Professor Guo Qiyong, dean of the School of Chinese Classics at Wuhan University said, "traditional culture offers China the ideological roots to develop and prosper as a nation. Without it, the Chinese will lose their identity in the trend of globalisation". Earlier this month 26 teams, made up of more than 2,500 teachers and students from Wen County, Henan Province’s primary and secondary schools, participated in a collective display of the “Traditional Taijiquan Routine” as part of their sport education programme. 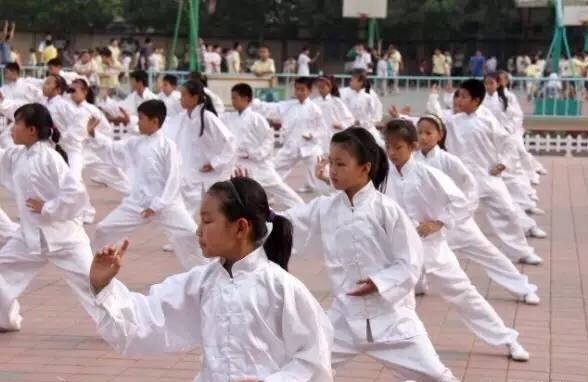 Since 2001 Wen county, whose environs include Chenjiagou, has been actively promoting Taijiquan in all its primary and secondary schools - at present more than 50,000 students and teachers practise Taijiquan! It’s hard to over-emphasise the transformation that has taken place in China over the last three decades or so. Most readers will be familiar with the story of how practitioners of Taijiquan (and other traditional arts) were persecuted during the Cultural Revolution. The book Essence of Taijiquan recounted how Taijiquan’s renaissance began in 1978 when Deng Xiaoping, in his position as Vice Chairman of the People’s Republic of China, wrote the simple words “Taijiquan Hao” or “Taijiquan is good” for a group of visiting Japanese delegate: “An article published in Chinese Wushu magazine (2003) under the title of “Ten Significant Events in Wushu” describes vividly the full impact of this statement: “Deng Xiaoping’s writing breathed new life into the development of Taijiquan as well as other traditional Chinese martial arts. In the previous ten years all traditional arts had stagnated and were in danger of extinction. With the new China (after the Cultural Revolution) all the treasures of China were awaiting their fate. Nobody was certain whether the wide variety of martial arts would ever be able to see light again”. Even though the political climate had eased, traditional martial arts were not a priority for the new legislation and were in a state of limbo. People lacked the confidence to practise openly and were waiting for a decision from higher up to revive it. “The very positive statement by Deng Xiaoping gave an indication to the whole of China that after the storm of the last ten years Taijiquan was going to enter a new era of regrowth”. 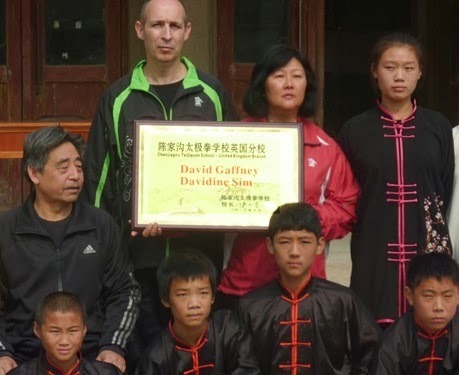 Back in September 2015 a ceremony was held marking the collaboration between the Chenjiagou Taijiquan School and the Jiaozuo Taiji Specialised Secondary School. The Jiaozuo school is at the forefront of the national implementation of China’s first Taiji-centred education schools. 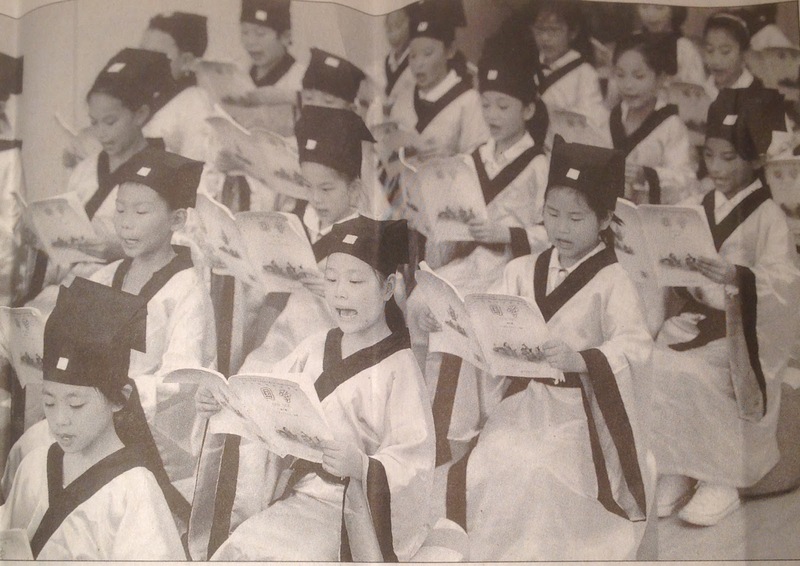 The school was established with the intention of preserving and propagating the country's ancient Taiji culture. 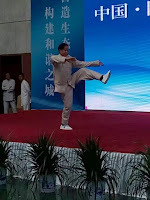 Speaking at the event Chen Zijun explained that with the social development of Taijiquan it is essential to raise the quality of the martial artists coming out of the school. 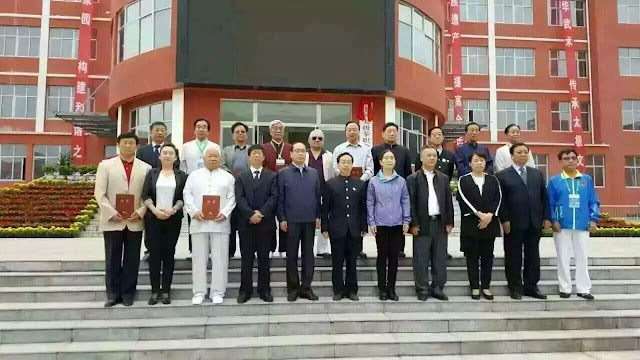 In setting up a branch of The Jiaozuo Taiji School within the Chenjiagou Taijiquan School there are obvious benefits to both sides: “This cooperation will allow us to comprehensively develop both the civil and military talents of students. To better carry forward the traditional martial arts while recognising and understanding their heritage and culture”. Chen Zijun: "Carrying forward traditional martial arts while recognising and understanding their heritage and culture". The reassertion of China’s traditional culture has not been restricted to Taijiquan. In China, towards the end of last year I came across an article in the China Daily newspaper which spoke of the increasing relevance of the ancient classics in modern classrooms. The article was illustrated with a photo of a group of young children, dressed in the style of the Han Dynasty that ruled China 1,800 years ago, reciting the Analects of Confucius. The article followed 6-year-old Chen Quanjin as he spent his summer vacation doing traditional Chinese studies at the Chenxiang Guoxue Institute in Guozijian: “Chen Quanjin has mastered the Dizigui, a Chinese book dating back more than 300 years that lays out standards for being a good child and student. He says the three-character verses are understandable and trip of the tongue - “Older siblings should befriend younger ones; younger siblings should respect and love older ones. Siblings who keep harmonious relationships among themselves are being dutiful to their parents”. This resurgence of interest in traditional culture has backing from the highest places: "In April 2014, China's Ministry of Education issued a guideline for teaching traditional culture from primary school through college. It required more lessons on traditional culture to be included in primary and middle school textbooks. President Xi Jinping echoed this view when he visited Beijing Normal University in September 2014. 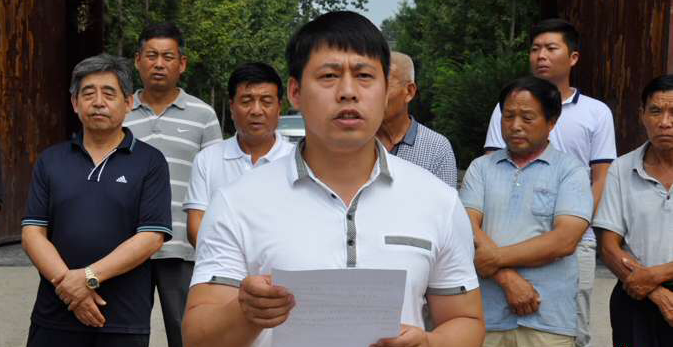 He voiced disapproval of [previous] decisions to remove Chinese poems and essays from textbooks saying that: “China’s cultural genes should be planted in the minds of the young”. It appears that the reversal of the excesses of the Cultural Revolution is well underway. On 22nd April representatives from the six major styles of Taijiquan (Chen, Yang, Wu, Wu (Hao), Sun and He) came together for a series of events in Chenjiagou and the surrounding locale. Coming from all over China, the Chen stylists included both Chenjiagou players and students of Chen Fake’s disciples. Officiating the events were Kang Gewu, President of the Chinese National Martial Arts Research Centre, Taijiquan professor Yu Gongbao and various officials of Wenxian and Jiaozuo. The slogan for the grand and high profile gathering was “Meeting at Taiji’s holy ground! 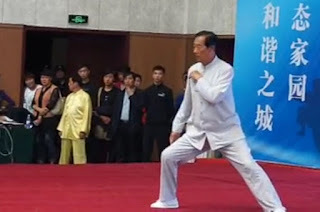 Harmonising Taijiquan!” The event included a symposium with speakers presenting their take on Taijiquan and the direction the art is going, and demonstrations by the Taijiquan masters present. Over a decade ago I remember looking with bemusement at the plans for the future development of Chenjiagou. The model showed a six storey museum set within a landscaped Taiji-themed park, stadium, hotels, large-scale apartments, shops etc -hard to picture at the time in such a quiet and timeless place. Year by year we’ve gone back and seen all of these plans and more come to fruition. Looking at the rows of empty buildings and wide deserted streets, the next obvious question was, who was it for? 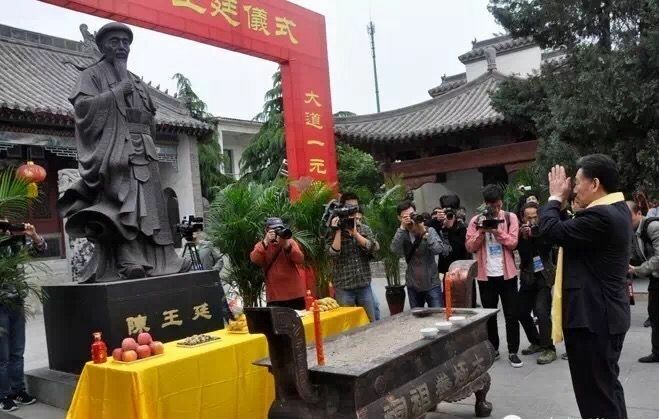 The opening address of the "Celebrating the Source of Taijiquan" event answered this - explaining that the main aim of the event was to join together to promote Taiji tourism to its birthplace Chenjiagou and to the surrounding areas of Wenxian and Jiaozuo. It’s obvious that the Taijiquan scene in China is booming. Over the last few posts I’ve highlighted a number of large scale events happening there and a quick glance at the mainstream Chinese media confirms this. 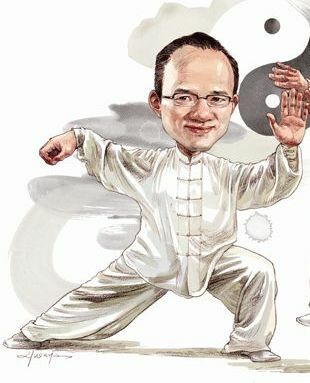 With high profile individuals like AlI Baba internet entrepreneur Jack Ma and Guo Guangchang the billionaire behind Fosun, China’s biggest private conglomerate being avid Taijiquan practitioners, and a booming middle class looking to reconnect with their own heritage. 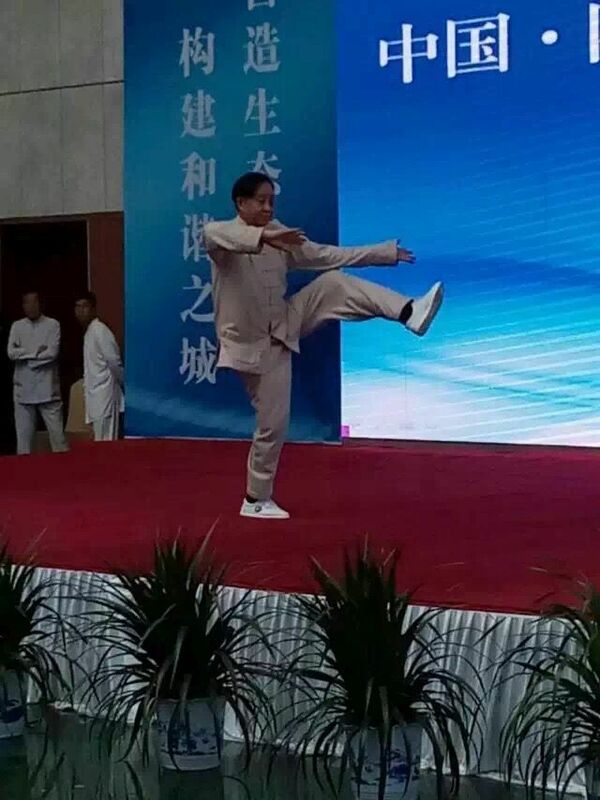 In short, today Taijiquan is cool and mainstream. It has not got the new age and slightly flaky reputation that it has in the West. On the following day representatives from all the major styles gathered at the Chenjiagou Ancestor’s Hall to pay respects to their common Taijiquan ancestor Chen Wangting. Chen Xiaowang represented the whole group for the ceremony burning incense and offering wine, as younger generation practitioners brought garlands of flowers to Chen Wangting’s alter. Next, Zhu Tiancai read aloud a poem he had composed honouring Taijiquan's ancestors and telling the history of the source of Taijiquan. All present then solemnly bowed to Chen Wangting pledging to work together+ for the spread and propagation of Taijiquan. Martial arts have never really enjoyed a high status in China. Many martial artists were severely persecuted during the dark days of the Cultural Revolution, and the bad experiences of Taijiquan practitioners in Chenjiagou and many other places are well documented. The opening of the China Taijiquan Professional Education Centre and nomination of the first 13 practitioners to be given official recognition as “Professors of Taijiquan” marked a symbolic recognition of the importance of these ancient arts in the modern era. Little wonder that those receiving the awards looked so delighted. Chen Xiaowang, Chen Zhenglei, Wang Xian and Zhu Tiancai were recognised alongside masters from the other styles of Taijiquan. Newly recognised Professors of Taijiquan - Back row rt-Lt: Zhu Tiancai, Wang Xian, Chen Zhenglei and Chen Xiaowang. Hollywood is a Mecca for movie lovers, and the must-visit shrine in Hollywood, to which every Tinseltown pilgrim pays homage, is Grauman's Chinese Theatre. Visit the Chinese Theatre at any time and you'll find hordes of tourists staring down at the footprints, handprints and autographs of Hollywood superstars past and present immortalised in the forecourt’s cement. 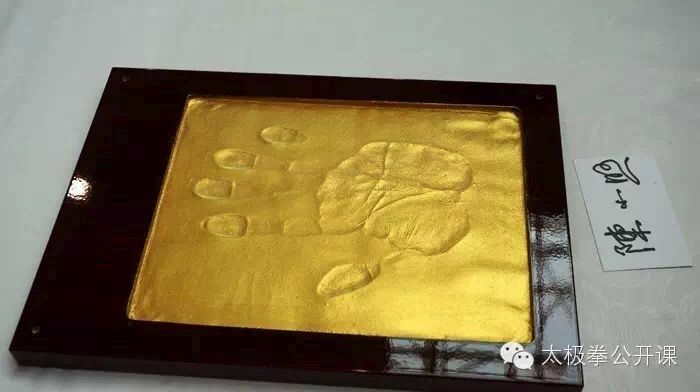 Now a “Famous Taijiquan Masters Wall” has been unveiled in Chenjiagou. Following a tradition immortalised by stars such as Marilyn Monroe, John Wayne, Jimmy Stewart, Clint Eastwood and Nicholas Cage – Taijiquan masters lined up to have their hand prints taken. I guess that’s progress. It’s clear that Taijiquan has been recognised as a valuable product and attraction by Chinese officialdom. Personally, I can’t help pining for the small rural village of the 1990s. Hollywood's Chinese Theatre comes to Chenjiagou!